Believe it or not, Christmas is only 6 weeks away and it’s time to think about what you would like to surprise your loved ones with. A “Handmade Christmas”, i.e. gifts and decorations made by ourselves are so much more special for me than any other presents. 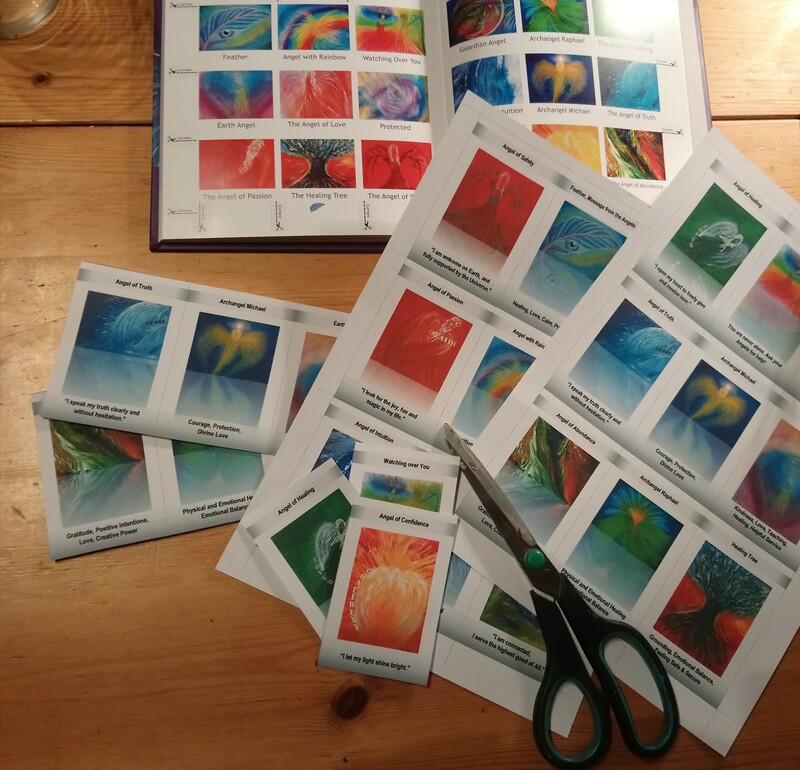 If I can’t make something myself, I tend to buy a gift that was handmade, because these products have a special energy, they are made with love. 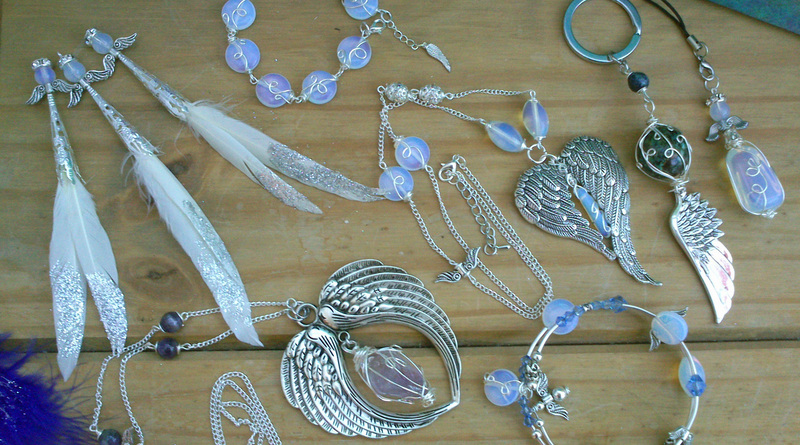 As a healing crystal jewellery designer, I have some new handmade gemstone creations every year for Christmas. This years’ designs I call Angels’ Whispers. 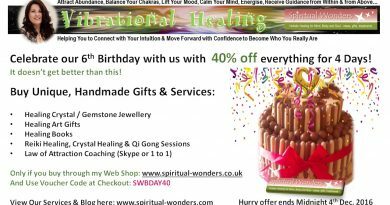 The jewellery I design and create is even more unique, as my gemstones have their own speciality, a unique energy vibration that helps you to feel better, safer, more loved, more protected… They make unique Christmas gifts. The gemstones I have chosen for this Christmas are about love, angelic communication and protection. Opalite/Moonglass is The Stone of Angels, Rose Quartz is The Stone of Unconditional Love and Amethyst is The Stone of Protection. Let’s start with some gorgeous little charms, which make excellent stocking fillers or small gifts. 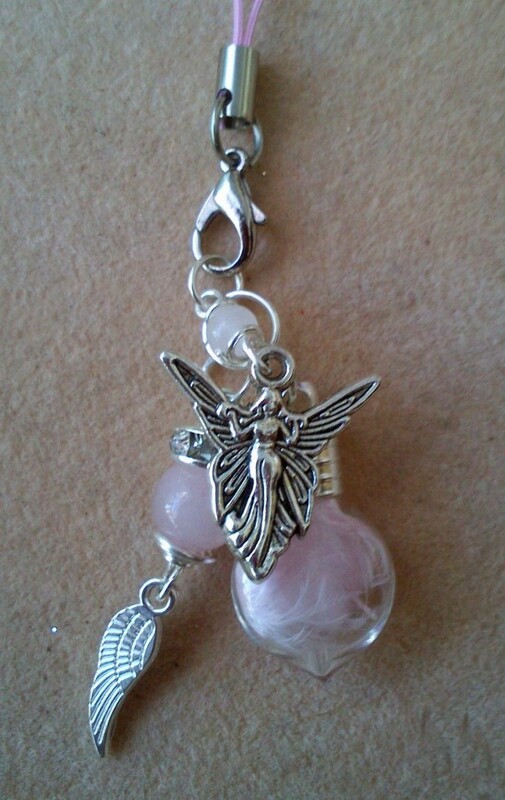 In this design I placed a tiny Pink feather into a tear drop shaped bottle and attached Rose Quartz crystal, an Angel wing and Rhinestone bead to it, which is accompanied by a silver-plated angel charm. Rose Quartz is a lovely Light Pink stone and it is called The Stone of Love. 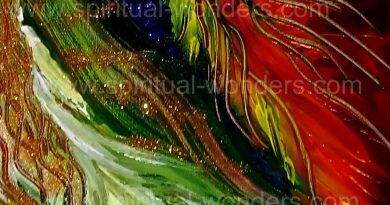 It helps opening your heart chakra to encourage self-love, self-forgiveness and acceptance. 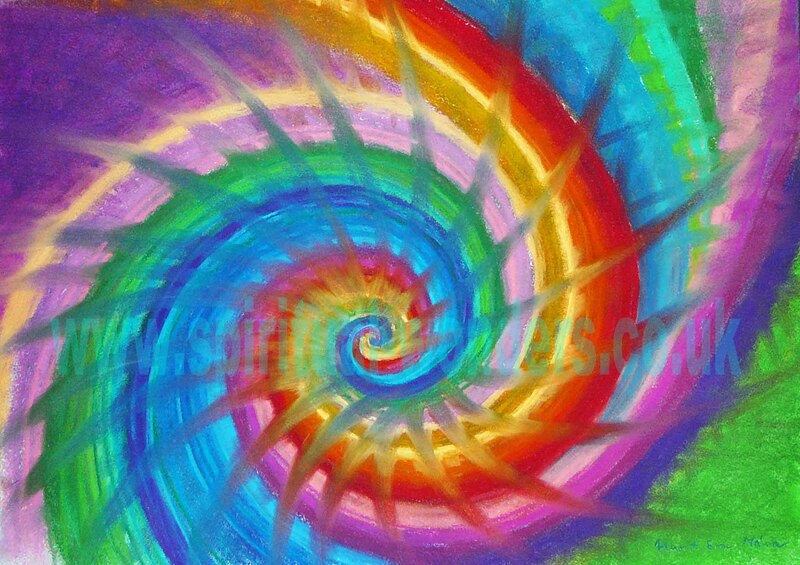 It also attracts love to you to help coping with your issues easier. This Pink colour is very feminine and soothing. Last Christmas’s favourite, the Angel Wings statement necklace made with Amethyst is still very popular and can make an excellent gift as it would look as gorgeous with an everyday wear as with some beautiful party dress. 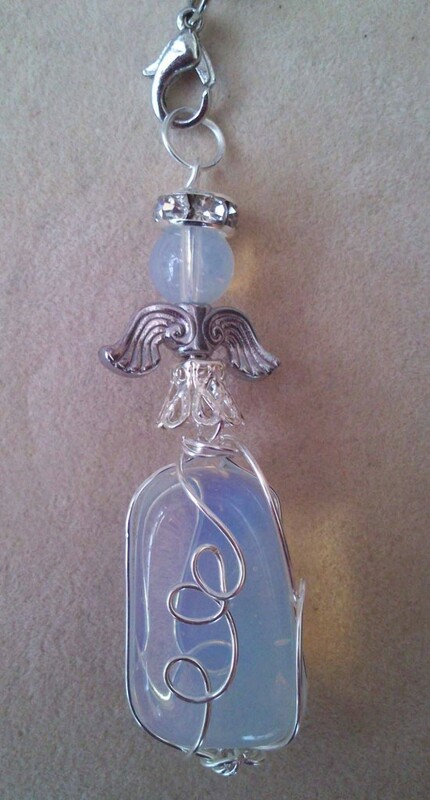 The new necklace design for this year is also made with angel wings, and with Opalite/Moonglass healing crystal/gemstone. You can choose a matching bracelet from two different designs, either a wire-wrapped Opalite coin bracelet or a memory wire Opalite bracelet. And you can see all of last year’s design too in my web shop. 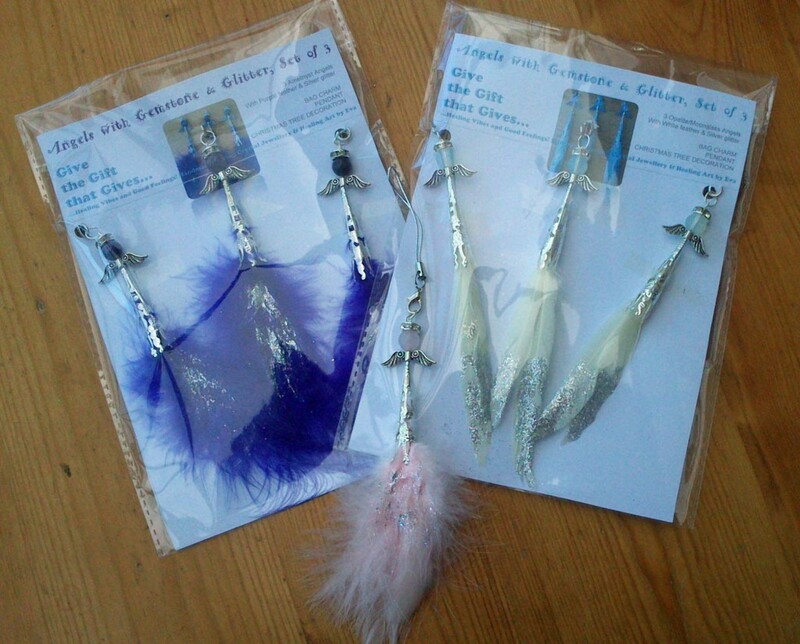 I have also have an “Eva’s Christmas Shop Special” section with a selection of gift ideas.